CLEARANCE PRICES ARE IN EFFECT - Very limited stock available - these units are being replaced with a new style - ACT NOW. Size availability cannot be guaranteed. 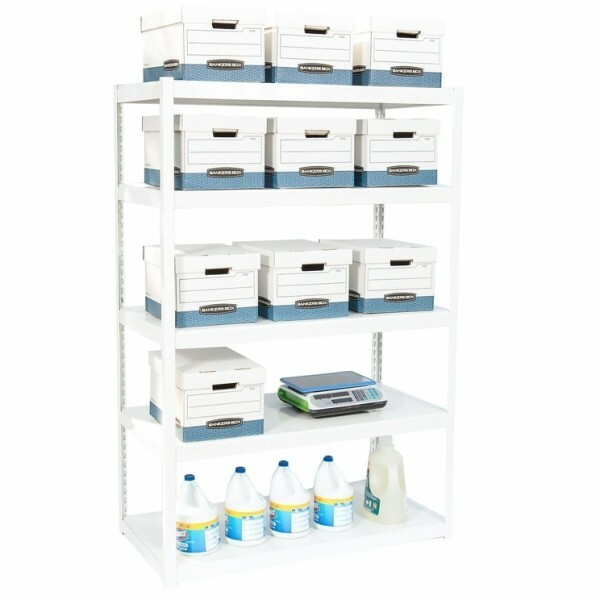 Get your life organized with our beautiful shelving units, perfect for your home, office, or garage! These units are made entirely of steel and include 5 levels of shelving which are freely adjustable to your liking! 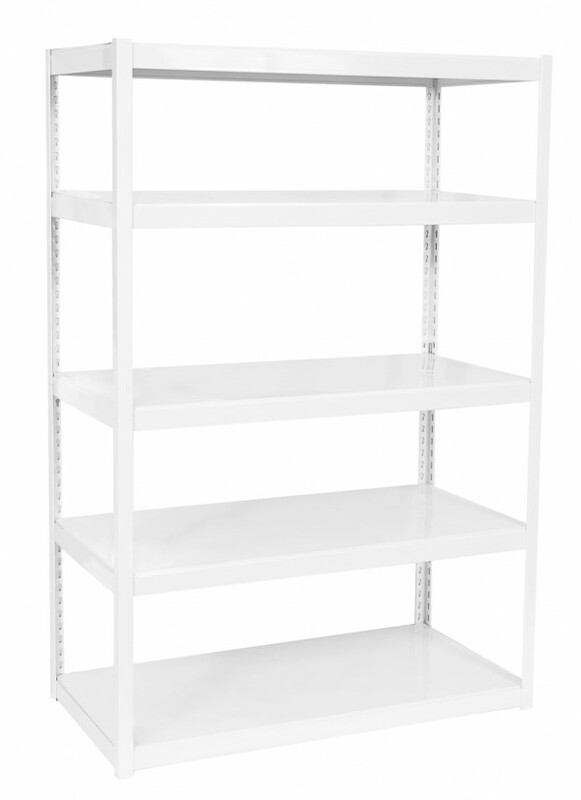 - WHITE colour shelving reflects available light and makes things easier to find. Your stock room looks cheery and bright as a result! - SMOOTH surface so you can slide items on and off easily. Not a wire grid like other shelves. - DURABLE POWDER COATED PAINT on our steel shelves makes them SCRATCH-RESISTANT because it is made by hard baking the plastic polymer onto the metal, forming a thick "skin" which is much tougher than conventional paint. Durable Powder Coated paint process has NO NEED for any solvents, hence making this an ECO-FRIENDLY way to colour metal! - These shelves water and dirt repelling, making these shelves tough and EASY to WIPE CLEAN! Clean, white look. Easy to put together and keep clean. These are the best shelves we have purchased for storing file boxing and other storage.